Today it's been exactly one year since my first blog post. It was about making the outside of our rental house feel more like home, while spending as little as possible. You can view that full post here. To mark this occasion, I want to share a few things that I have learned over the past year. 1. Roses of Sharon enjoy morning sunlight. They also seem to prefer being together over being scattered around the yard. 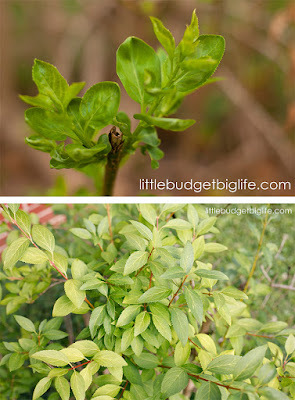 Here's what they looked like last spring, immediately following relocation, and what they look like now after a year together on the east end of our house. 2. Sometimes it's better to let things go. I had originally attempted to give purpose to a funny little 10'x10' raised bed in the middle of the back yard--that's where the dollar store seed packets were utilized last spring--but when a huge rain washed its somewhat rotten wooden beams out of place, we just razed the entire bed and now Pip has a wide open space in which to play. Because of its placement, that bed always looked weird to me. Although I was hesitant to tear it down at first, I now much prefer that area open. 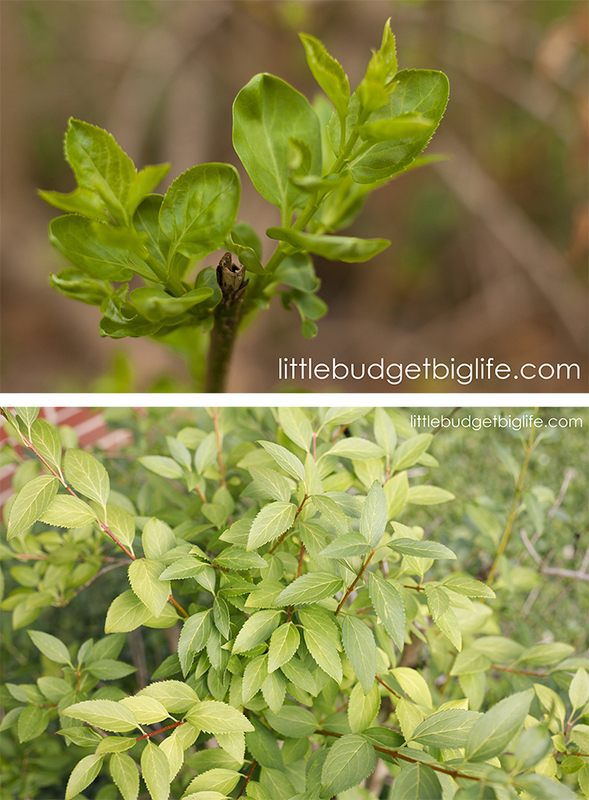 Here's a comparison of new growth last year, right after they had been pruned and pulled from another yard, and this year, where they've enjoyed afternoon sun on the west end of our house.They didn't bloom this year, but I'm hopeful for next spring. 4. I did not inherit my grandfather's green thumb. With the exception of one knock out rose, nothing else has thrived--or even survived--in our yard. Although there have been times that was a little discouraging--like when I had to dig up three dead holly bushes and a withered lilac--it also has given me permission to further simplify the lawn. I have realized that I'd rather have nothing (besides grass) than have things that look sad or strangely placed. 5. This lawn is a work in progress. My desire to make the front of the house more welcoming--to up its curb appeal--is not to impress others. It's so that when I come home, it brings me joy. It still doesn't feel as cheerful as I would like; the front of the house is sparse. But there's no rule that it has to be done in a day, or even a year. With a budget of practically zero, I am content to let things unfold as they may.